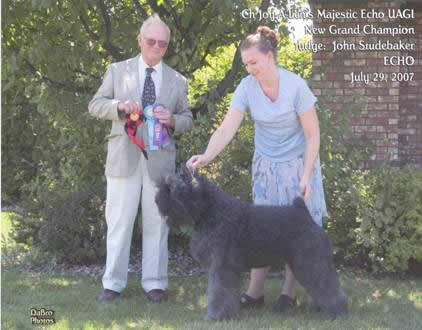 Echo has 4 points towards her AKC Championship. 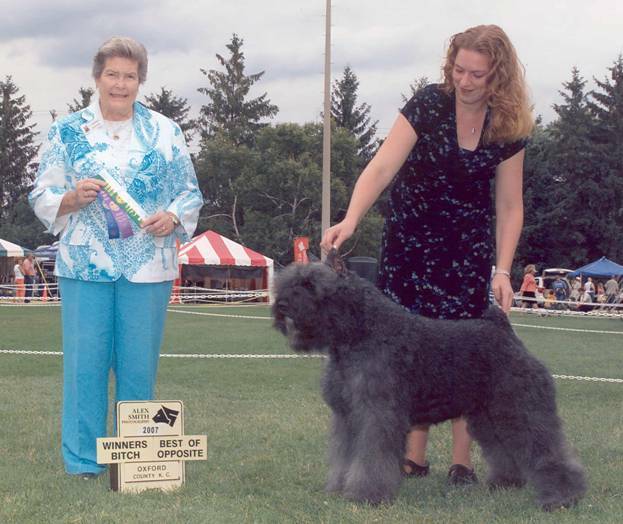 In 2005, Echo was ranked # 5 Bouvier in the UKC Top Ten. 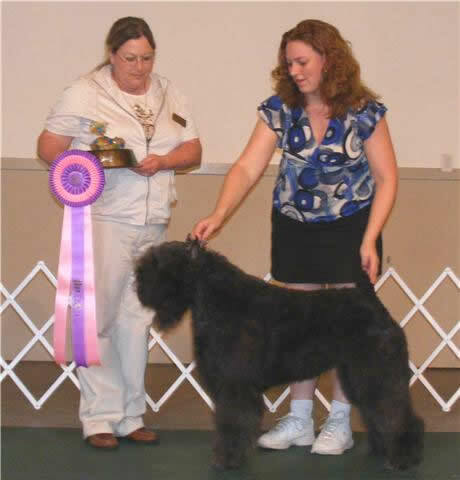 In 2007, Echo was ranked #5 Bouvier in the UKC Top Ten. 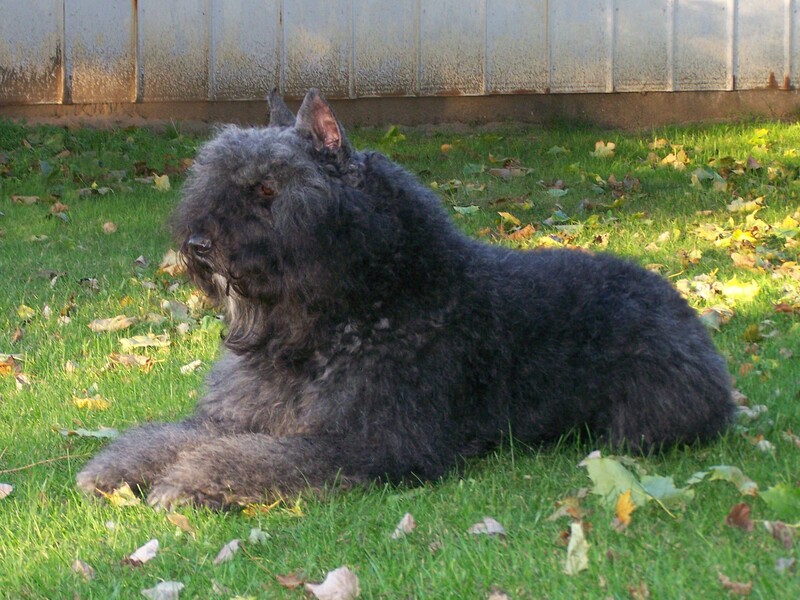 In 2008, Echo was ranked #10 Bouvier in the UKC Top Ten. UKC Reserve Best in Show at Trail Creek Dog Training Club in August 2007. CHECK out some HERDING photos ! Echo started her Agiltiy Career at the UKC Premier in June 2007. In four trials that weekend, she earned her UAG1 title with three Qualifying Scores of 200, 189 and 196; ( A perfect score is 200) she also earned her first qualifying score towards her UAG2 title. On August 19th, 2007, she finished her AG2 title at a Trail Creek Agiltiy Trial with scores of 197 and 192. Since Echo earned her first two titles with ease, Lee Ann decided to start working towards the UKC Agiltiy Championship title. This title can be difficult to obtain. Title is earned by: (A) accumulation of 100 points awarded for scores of 196 or more in the Agility 1 and Agility 2 Classes (at least 40 of the 100 required points must be obtained from the Agility 2 Class). Echo earned 9 scores of 200, 3 scores of 199 and 2 scores of 197 for a total of 112 points to earn her UKC Agility Championship ! 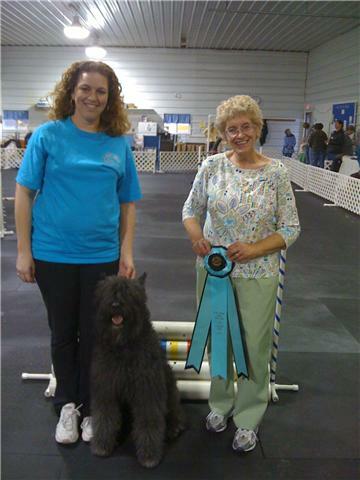 Now Echo is working on her UACHX ~ Agility Champion Excellent ! 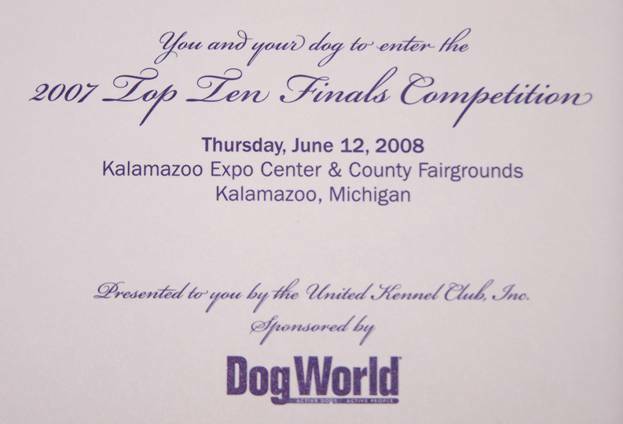 She earned 2 qualifying qcores towards this title at Paw Powers in November 2007! 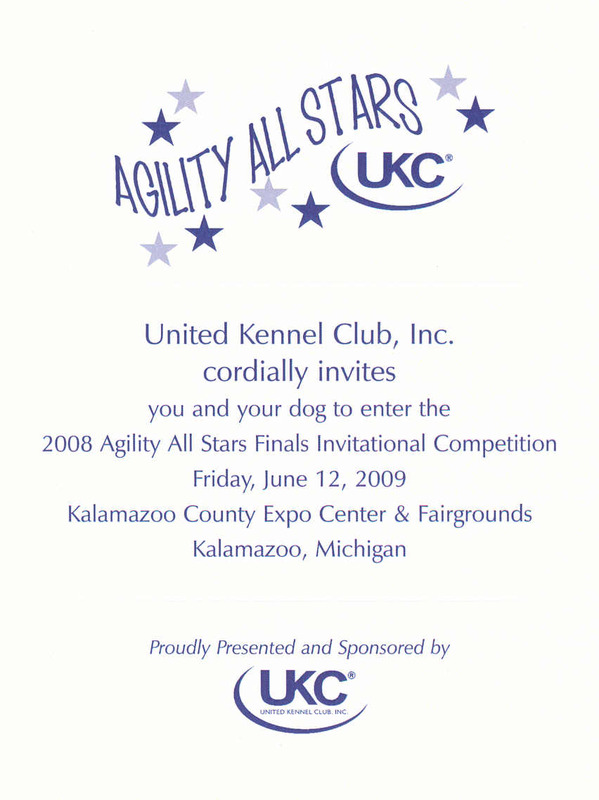 She earned a third qualifying score at Smack-Dab's UKC Agility Trial on Dec 29th , 2007. 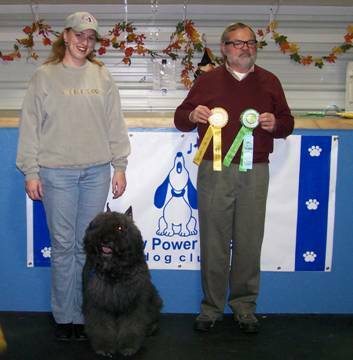 Then she also earned her forth qualifying score back at Paw Powers on February 16th, 2008. She needs one more qualifying run to finish this title! In AG3, there is a greater level of difficulty because there are several obstacles (Table, Pause Box and Weave Poles) in which the handler must be 6 feet away from.... essentially you must send the dog away from you to perform the obstacle on their own. 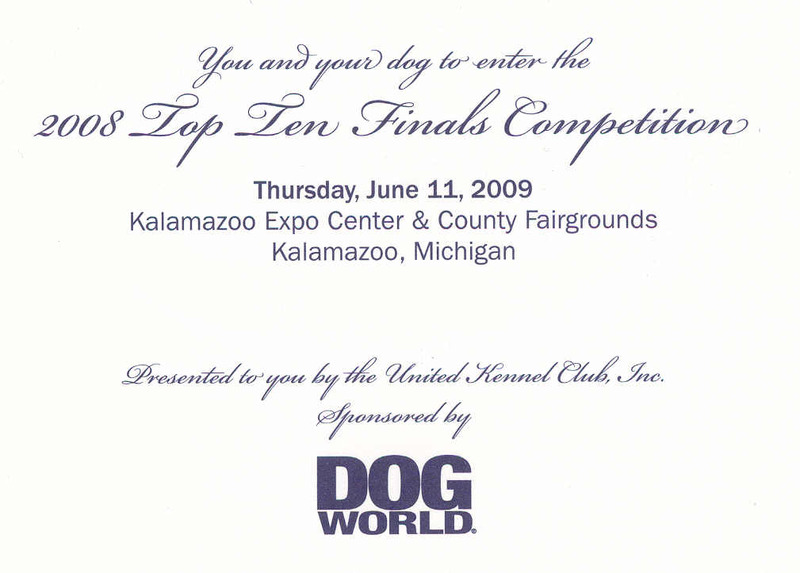 ECHO was ranked #33 out of the TOP 50 All-Breed UKC Agility in 2007. Echo has 4 Qualifiing Scores towards this title. 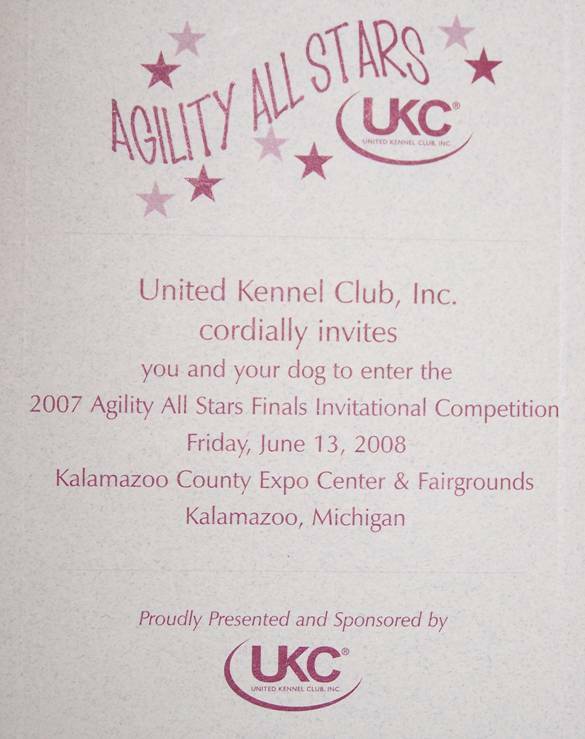 At five different UKC Licensed agility trials, earn a qualifying score in each of the three levels of agility classes (AG1, AG2 and AG3) in the same trial with a combined score of 588 points or higher. did this without any trouble!